If you would like to offer a workshop, which links to the theme of the conference, please let us know. You can contact us here. How can we can reconcile different realities in education? That intrinsic question will to be explored during this workshop defining how an RE course can empower the acceptance of diversity in our society and respect of the “other” with our own individual characteristics. The workshop is based on a TiE project (by the term TiE -theatre in education- project we mean an educational project which incorporates the use of Theatre/Drama as a tool) that was applied within Greek Education. We will have a real learning experience that is based on theatre and drama techniques and we will reflect on what really delivers in the classroom: the combination of Brecht’s politic/epic theatre (Brecht, 1986), Boal’s theatre of the oppressed (Boal, 1979) in a prolific application of Pedagogy (Dewey, Bruner) with Freire’s pedagogy (Freire, 1974) and Transformative Education and New Learning (Mezirow, Kalantzis & Cope). The ultimate goal is to realise that reconciliation is an endeavor that requires the learner to debate and deconstruct knowledge positions and certainties and that Theatre/Drama can offer the safe place to start such a procedure. Marios is Assistant Professor of RE at National and Kapodistrian University of Athens. He is a member of the National Curriculum of RE Committee in Greece and author of six books about education, pedagogy and RE. He designs and applies T-i-E projects for all educational levels using theatre and drama. He represents Greece on the Board of EFTRE. Each religion has it’s own sacred texts. The use of sacred texts can sometimes vary considerably in different contexts. In this workshop, the focus will be on the Parable of the Prodigal Son, written only in the Gospel of Luke (Chapter 15, Verses 11 – 32), a sacred text for Christianity. The Parable tries to teach something, but what might that be? The parable can obviously be used in an exclusive Chrisian sense. It is a story about someone who sees things wrongly. Interpretations can be based on a religious and/or a moral point of view. But it can also be used in a more romantic sense by stating that the long lost son comes home for Christmas. In a world of diversity the Parable can be used inclusively. There are two sons. Which son is lost? Is there really a lost son? What part does the father have? Luke is a Gospel not focusing on religion as such, but one which focuses on the role of the Gospel in the history of society. How can we teach RE with regard to the use of this story to explain what happens in modern day society? How can inclusive religious teaching give us the possibility of showing what humanity is about? Henk (theologian) has retired as professor of education at Stenden University of Applied Sciences. He has experience in teaching in elementary and secondary school as well as teaching in teacher training. He taught theology at University (New Testament and Church History). He did research how Christian tradition can relate to education. In Dutch he published about exegesis and hermeneutics, about church history, and about modern Western culture. This workshop is based on a national United Kingdom dataset of over 500 teachers of Religious Education that offers evidence that UK RE teachers present a sanitised and uncritical account of religion, suggesting that bad religion is false religion. This well intentioned - yet mistaken - definitional turn is seen in wider contemporary cultural discourse in which ‘true’ religion, being essentially loving and peaceful, is distinguished from ‘false’ religion, which constitutes a harmful and dangerous distortion. In UK schools, the national dataset showed that many RE teachers similarly sanitize religion of wrongdoing. To be religiously literate and to develop critical awareness is to understand the complexities of religion - to appreciate that ISIL is an expression of Islam; that violent Christian anti-abortionist direct-action is an expression of Christianity; and that Buddhist monks physically attacking Muslims in Myanmar is an expression of Buddhism. An essentialised and sanitized form of RE will meet neither the extrinsic (knowledge) or intrinsic (tolerance) aims of the subject. RE can only enable and encourage religious literacy if religion and religions are presented as multifarious, complex, social phenomena. This cannot be predicated upon a conceptualization of harmful religion as ‘false’ religion, which is inimical to a deep understanding of religion in our world today - as in times past. This workshop offers participants the chance to learn about this research and examine their own practice in light of its findings. World War II left a heavy heritage to many of us, even if we don't realize it at first glance. Many Christian communities and churches did not react and failed supporting persecuted people - among them especially Jews. The consequences were catastrophic. How can RE contribute to reconciliation in this field? In the workshop we deal with materials to create awareness, to questioning our own settings. Sonja has been a teacher of Religious Education since 1991. From 2000, she has been responsible for the in-service training of RE teachers of Secondary Schools in Austria and is based in Vienna at the Kirchliche Pädagogische Hochschule Wien / Krems. This workshop focuses on the relationship between Christian Orthodox RE and the issue of care for the environment. How can those realities be reconciled within the framework of the school system? Broadly, how can religion be reconciled with very modern issues, like that of care for the environment, of measures to stop the pollution of our planet and the exploitation of its resources? Based on the story of creation found in the first lines of Genesis, the Eastern Orthodox anthropology affirms the strong connection between the human being and the natural world. In this workshop participants will be able to explore and evaluate some ways of integrating issues relating to the environment within an holistic model of teaching RE. Florin has been teaching RE in Romania in Secondaries and High Schools. Since 2004 Florin has been an assistant lecturer of Systematic Theology at the Faculty of Orthodox Theology at the University of Oradea (Romania) and also a Deacon. He has been a member of EFTRE since the Budapest conference in 2007. Florin's holds degrees in theology and philology and his Ph.D is in dogmatics from the Aristotle University of Thessoloniki (Greece). He has written a series of articles and has translated into Romanian works from modern Greek and English.​ Florin is a member of the EFTRE Executive and represents Romania on the Board of EFTRE. Cora is an Assistant Professor Religious Education in the School of Human Development, DCU. She teaches Religious Education at undergraduate and postgraduate level. She is currently Chair of the Certificate in Religious Studies (Part time) Programme. Cora’s research interests include Religious Education, Practical Theology and Children’s Spirituality. She has a passion for Montessori inspired forms of Religious Education and has undertaken training in both Catechesis of the Good Shepherd (levels 1 and 2) and Godly Play. Cora is a Godly Play Trainer and a founding member of Godly Play Ireland. She is also a Deep Talk practitioner. ​RE teachers include a number of different subjects and themes in their lessons. We could try to classify them. In doing so, we would identify any forgotten dimensions which our proposed course seeks to address. These may include areas which are not frequently covered but are nevertheless important. One cannot cover everything, but it is interesting to know that there is a wide range of possibilities. We propose a programme of RE - or perhaps a better name would be 'lifeviews' - which requires two hours a week for pupils aged 7-18, as already happens in some countries. Children and young people have different needs at different stages of development. In any recipe, there are major and minor ingredients, herbs and spices. RE (lifeviews) contains: knowledge about the major religions/worldviews; ethics and moral issues; aspects of philosophy and philosophical skills; personal and social development; psychology and psychiatry; different pedagogies, emotional intelligence; listening and expressing; reflection; citizenship; cultural development; health education; environmental education; work and study skills; and meaning-making. Selecting the right ingredients and how they are put together needs to take account the wider curriculum, the expertise of the teacher, the needs and interests of the pupils, the school context and the educational environment. Hugo Durinck (Hugodu) is senior lecturer in moral philosophy at University College Ghent. He worked in different secondary schools before working in social training and teacher training. He is interested in education, and eastern and western philosophy. In Belgium he is co-founder of Vefo (to promote philosophy), co-founder of Lef (to promote a plural, multidimensional course RE) and senior member of Diroo (dialogue about education). He has published in the areas of moral education and emotional intelligence. In this workshop we will explore the existential dimension of religion and notice how a philosophical enquiry approach contributes to intellectual advances as well as social and personal advances for the students. The workshop will also introduce a long term project with groups of teachers from a variety of religious backgrounds who are using this approach to advance dialogue across religious and other identity boundaries. 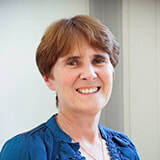 Dr. Patricia Hannam is County Inspector Adviser for RE, History and Philosophy with the Hampshire Inspection and Advisory Service, England, and Visiting Fellow at the University of Winchester. Her new book Religious Education in the Public Sphere was published by Routledge in 2018. Workshop No.11: National differences in policy - similar practices? The religious history of different countries is often enmeshed with the establishment of educational systems. Educational structures are relatively stable, and rapid social change might thus exceed the pace of change of educational structures (Bråten 2014b). Meanwhile teachers and students are living and working in the current social reality, which also ought to shape learning activities. Niemi (2016) used Bråten’s (2013) model of three dimensions and four levels in his analysis of religion in Indian schools. He finds that on the formal level of policy and curriculum it is claimed that there is no RE, yet he finds learning targets and activities that in another context, such as the Swedish would count as RE. Niemi suggests this is related to different meanings of the concept of religion, an argument which is developed further in Niemi (2018). India and France both have secular school systems with no religious education according to formal policy and curricula. In France however “religious facts” are taught, as they also are in India. However, no religious activities are allowed in France, or Sweden, whereas in India participation in religious festivals are encouraged, pointing towards two very different conceptualizations of “secular”. It is fascinating that, using Bråten’s terminology, it is on levels C (teaching) and D (learning) as opposed to level A (societal debate) and B (institutional level), where Niemi identifies activities in India, which in a Swedish context would count as RE. It seems that on levels A and B language, history and policy create differences, which are not necessarily reflected in practice. In the workshop, we will explore if it is the case that the closer one gets to the levels of practice, the more similarities are found? Attendees are invited to take a closer look at their own contexts. Oddrun Bråten, Associate Professor at the Faculty of Teacher- and Interpreter education, NTNU: Norwegian University of Science and Technology. Her PhD (2010) is from the University of Warwick and concerns international and comparative studies in religious education; and Kristian Niemi, lecturer at Karlstad university, Sweden; PhD student at Stockholm university, working on a thesis on how a plurality of religions is handled in Indian and Swedish non-denominational school education. Professor Richard Rymarz is the Head of Religious Education and Director of Research at the Broken Bay Institute – The Australian Institute of Theological Education. Prior to this he held the Peter and Doris Kule Chair in Catholic Religious Education, St Joseph’s College, University of Alberta. He has had wide experience in educational research, especially work on Catholic schools and moral and religious education. Professor Rymarz has an extensive research and publication record. His general area of interest is in how groups pass on religious beliefs and values. Religious buildings are fertile environments for learning about religion and culture. Being mindful of the different aspects of learning, the space can be used to develop knowledge of traditions and promote the construction of identity and dialogue between learners. Technology, such as mobile phones scanning augmented reality, can be used to enhance the learning process. This workshop demonstrates how to organise learning processes in religious spaces, or alternatively, how to bring the essential aspects of religious buildings into the classroom. Salla vainio is a trainer and learning consultant at a Church training College in Finland. She started her career in secondary school and high school as a teacher for Religious Education and Psychology. She Works in a team developing materials and models for education and training teachers in co-operation with the National Board of Education and teacher training universities in Finland. She has published in the areas of technology based learning and is interested in methods that drive 21st century skills.